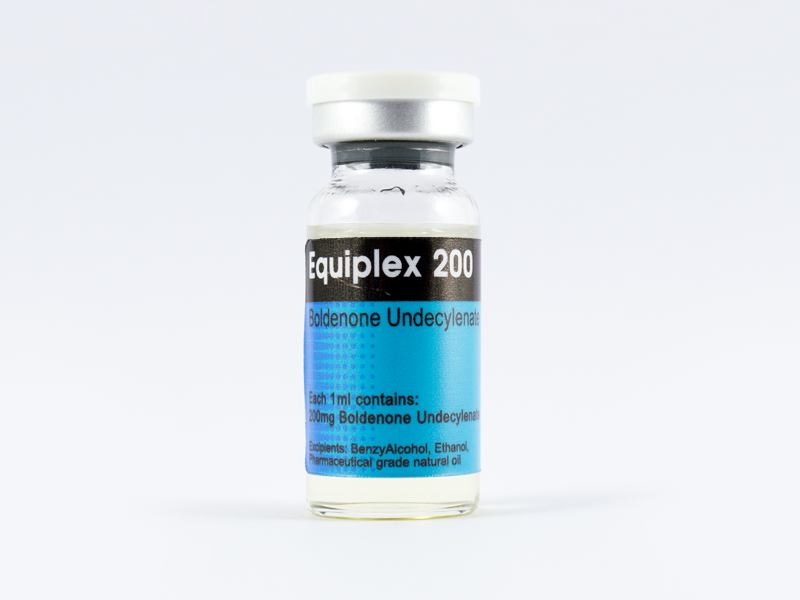 EQUIPLEX 200 is boldenone undecylenate, that was firs produced as a veterinary injectable steroid. It is a derivative of testosterone, which exhibits strong anabolic and moderately androgenic properties. The undecylenate ester greatly extends the activity of the drug (the undecylenate ester is only one carbon atom longer than decanoate), so that clinically injections need to be repeated every three or four weeks. EQUIPLEX 200 is mostly to exhibit a pronounced effect on lean bodyweight, appetite and general disposition of men. As with all steroids, this compound shows a marked ability for increasing red blood cell production.